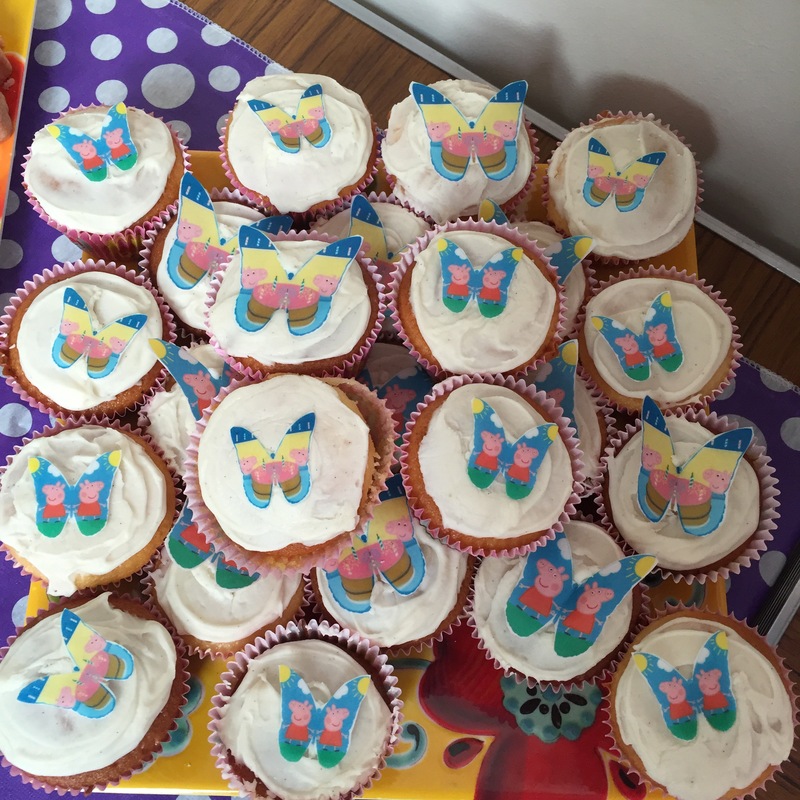 When you’re a mummy of young children, you go to a lot of birthday parties: soft play parties, craft parties, dressing up parties; themed parties, garden parties… the list goes on! Growing up in the 80s, it seemed that many mums just baked a cake with the requisite number of candles in, blew up some balloons and shoved some crisps, iced gems and Tizer (homemade in the soda stream, of course) down the children before returning them, “fully charged” to their parents. 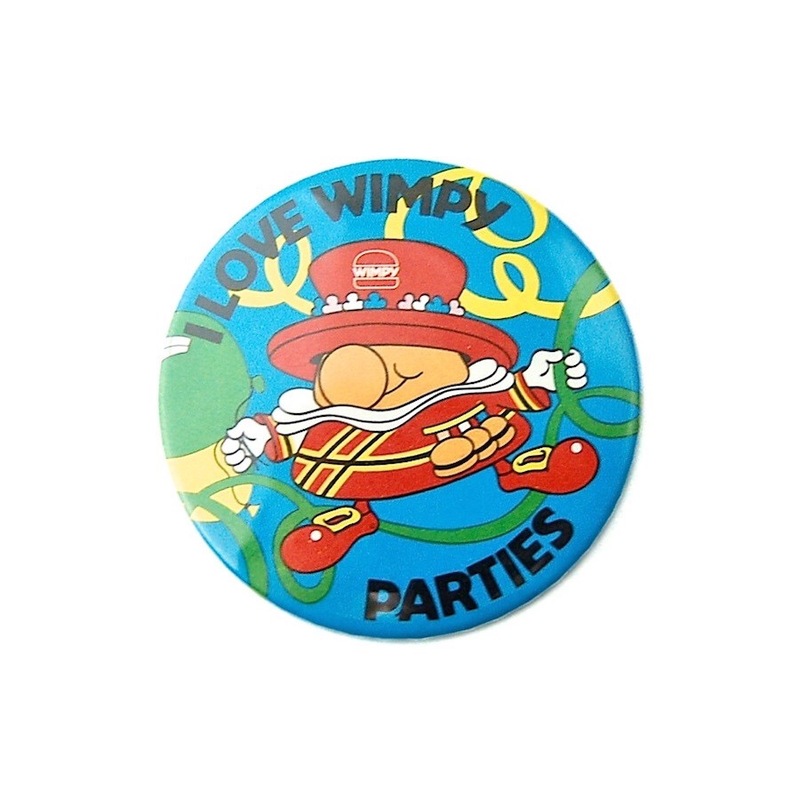 Or, if we were REALLY lucky we might be taken to the local Wimpy, where every child got a free paper hat. 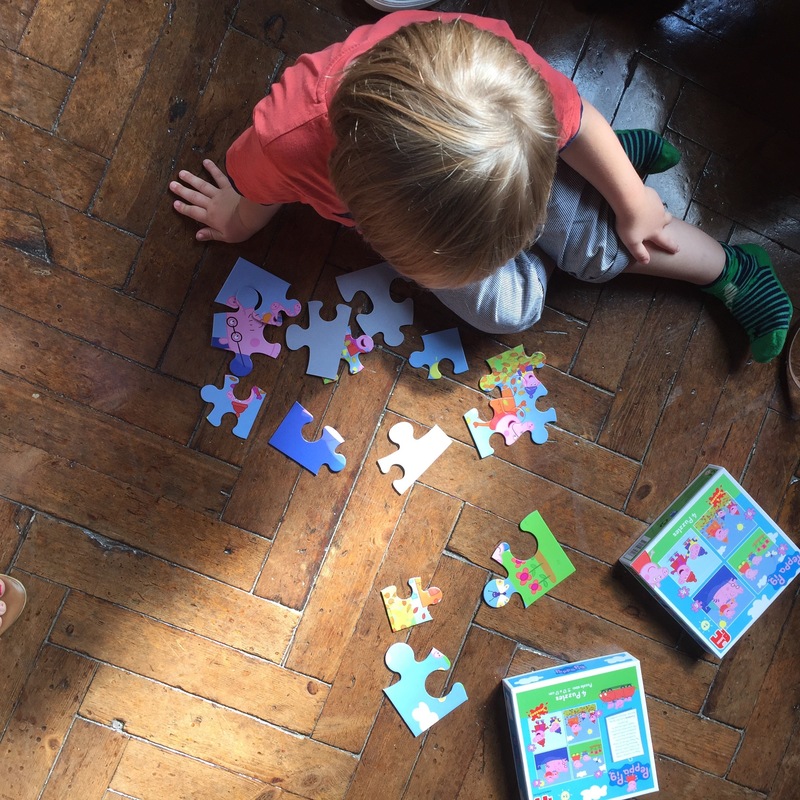 Anyway, it turns out that life isn’t that simple and there is actually an awful lot of hard work that goes into party planning, lest we be judged by other mummies or, worse, get struck by the ever present spectre of #mumguilt. 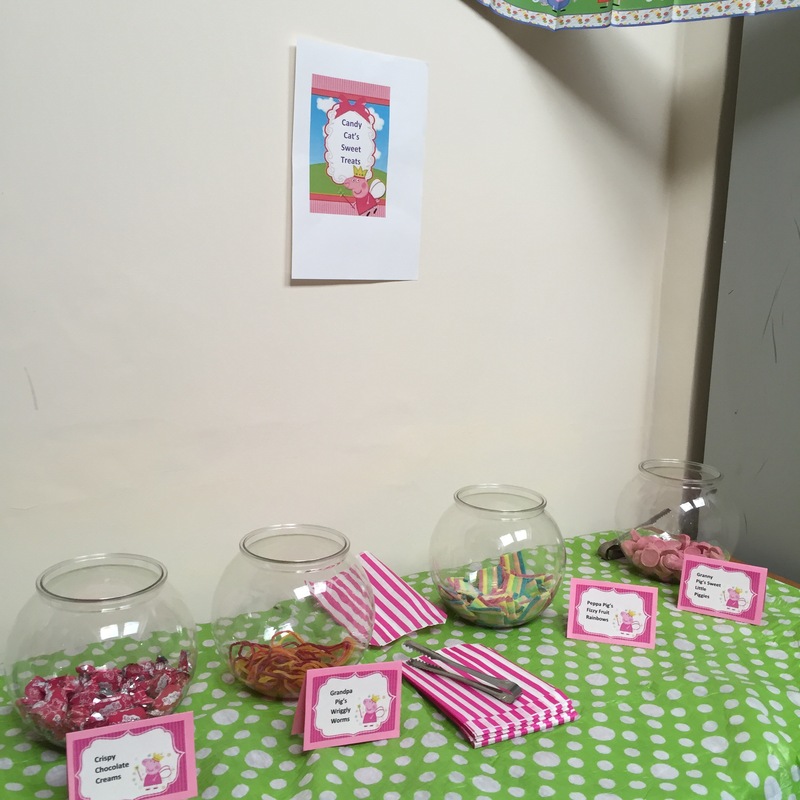 There was even a “Candy Cat’s Sweet Treats” candy station, which was a huge hit with the children, with queues out the door! The bar had been raised substantially yet again and my own boys would soon start to have expectations well above my capabilities. I was well and truly doomed! 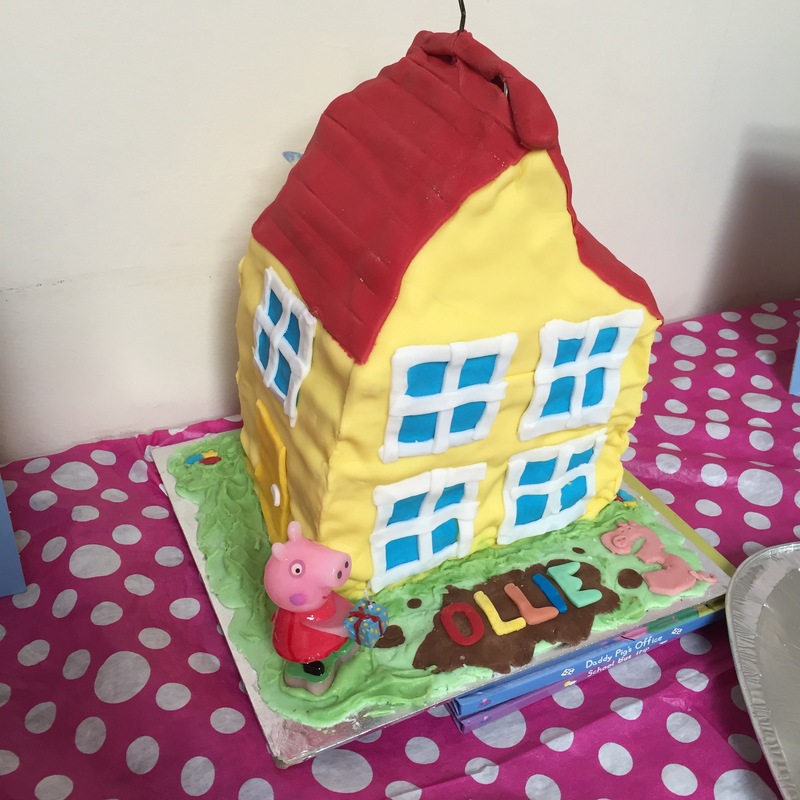 It’s a closely guarded secret, but Beckenham-based Ollie Polly Parties is the brains behind many, many successful children’s parties in the local area. 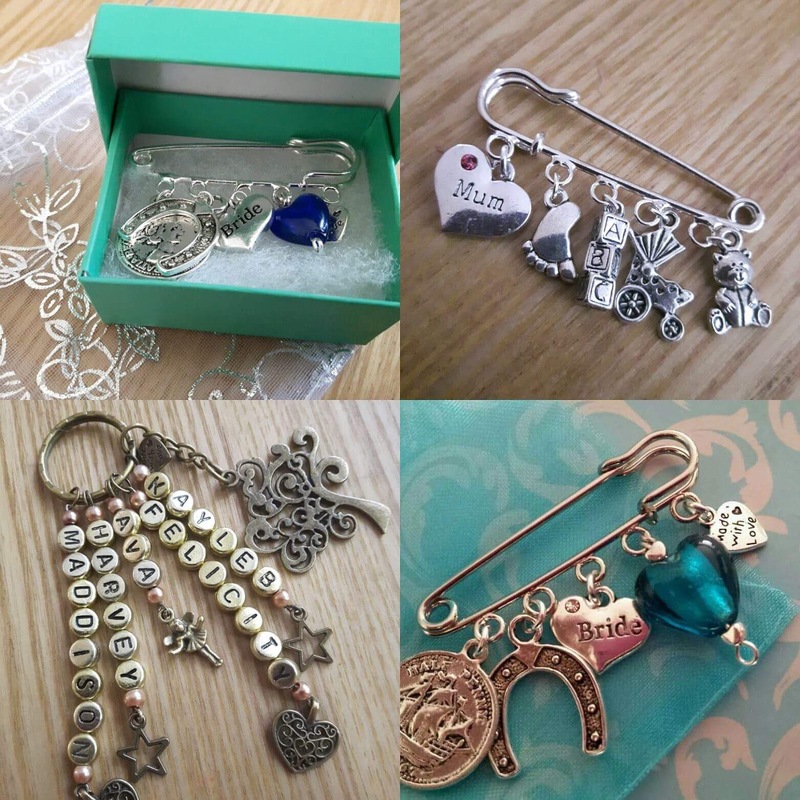 Covering Beckenham, Bromley, Orpington, Chiselhurst, Croydon, South London and even as far afield as Essex, it is the brainchild of local mum, Amy Mitchell, and she really loves what she does, which really shows in her work! 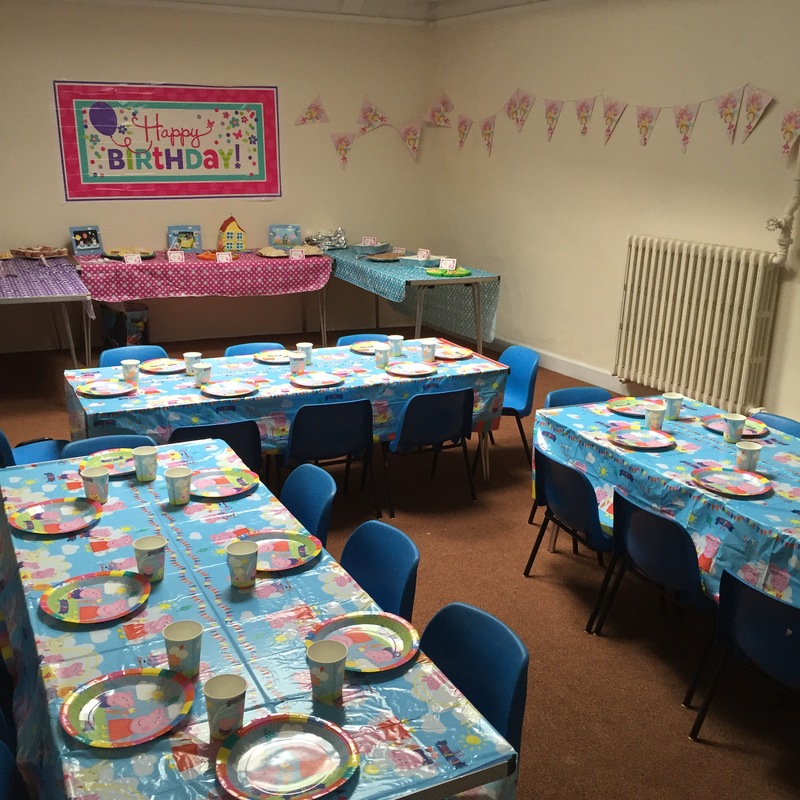 She goes the extra mile on everything, from creating bespoke themed signs for the loos, baby changing station, and handmade name cards for all the party food, to making the birthday cake itself. 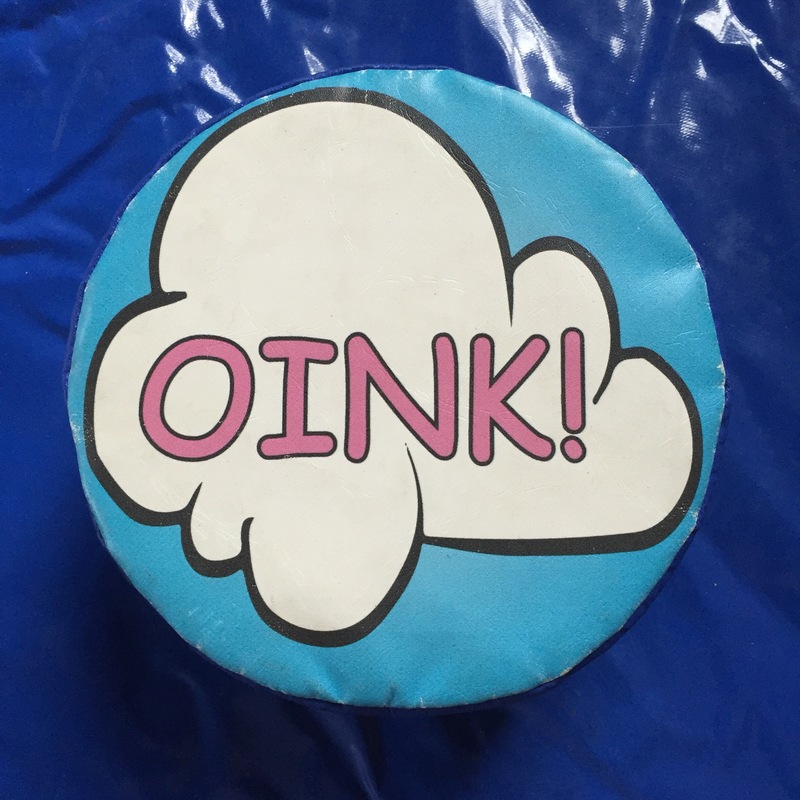 A Peppa & George Pig cut out had been sourced for the children to have their photos taken with, and the room was strewn with bunting, posters and even photographs of the birthday girl with her sister. 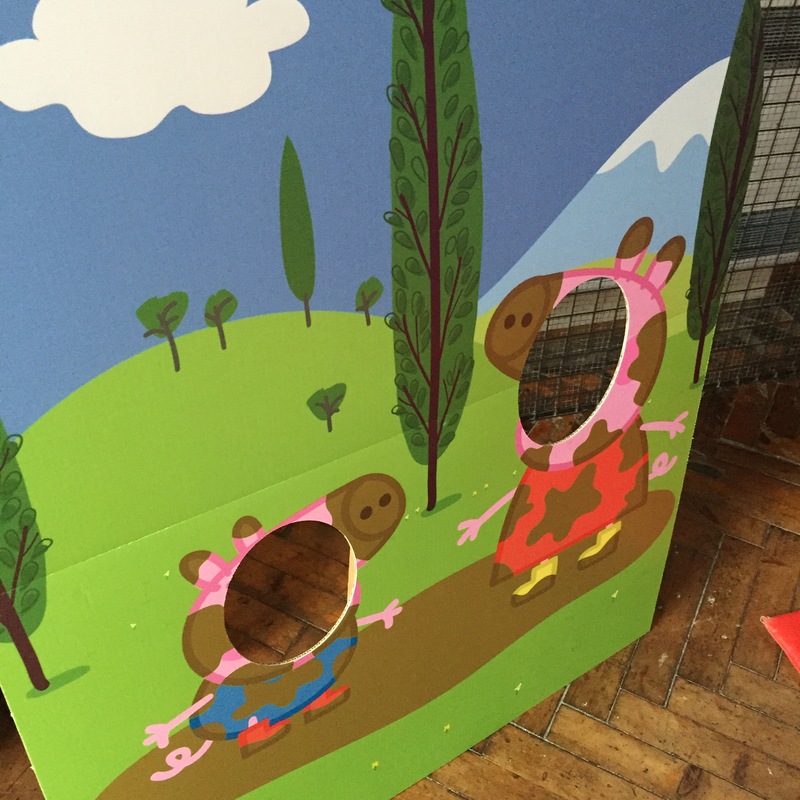 The attention to detail was second to none, and she had even created a quiet corner with drawing, puzzles and felt pictures (all Peppa Pig) for those needing a break from the bouncy castle and soft play. This provided some much needed chill-out time for my big boy, who hadn’t napped that day and was beginning to slur his words and roll around like a very small Oliver Reed. Bravo Ollie Polly! 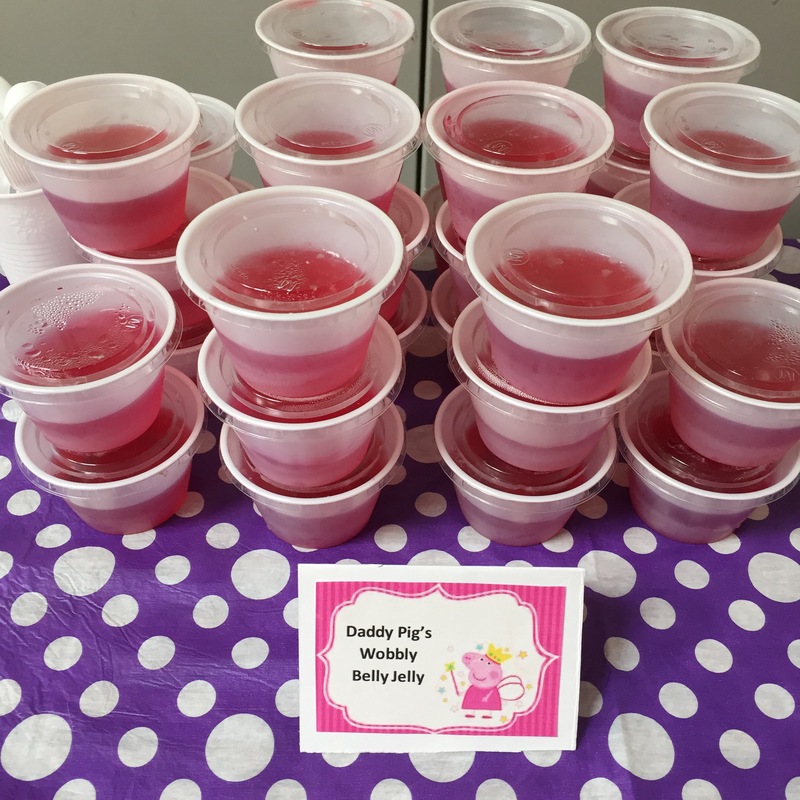 Everything is flexible with Ollie Polly Parties, which offers a one stop party shop so that customers can pick and choose according to their needs and budgets. 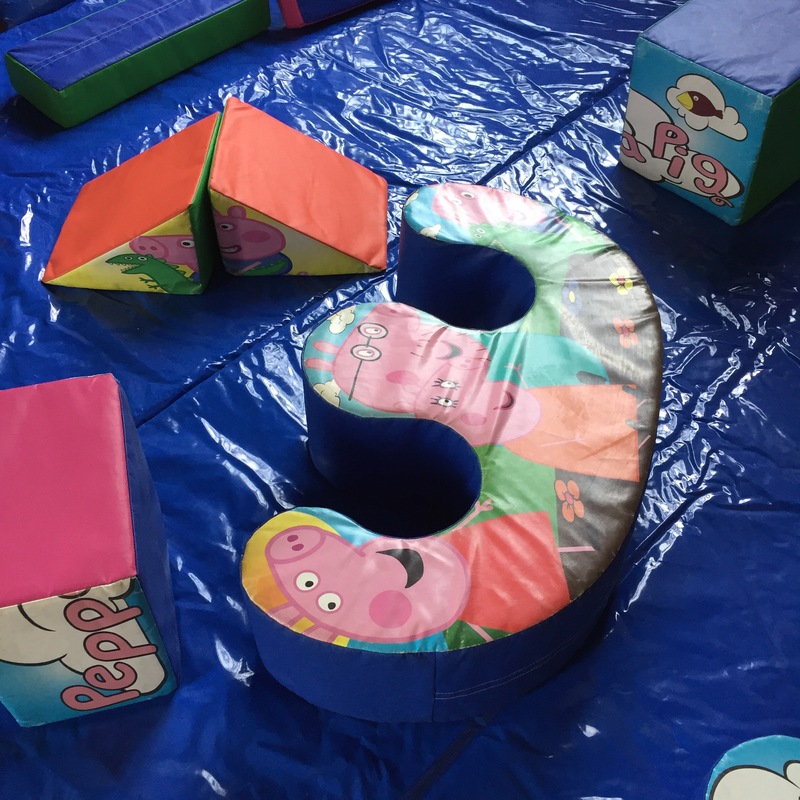 The team can source soft play, bouncy castles, entertainers and face painting, as well as provide filled party bags, themed to your choice. 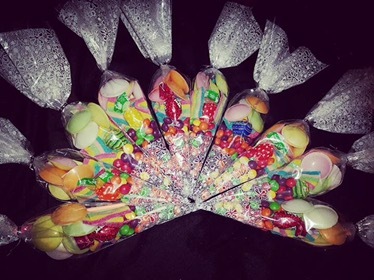 Party bags start from just £1.50 each (with a discount of 20% for 30 or more) and sweet cones cost just £1.25 each. Cakes and cupcakes start from £35, but if a customer prefers to supply their own, that’s fine too. 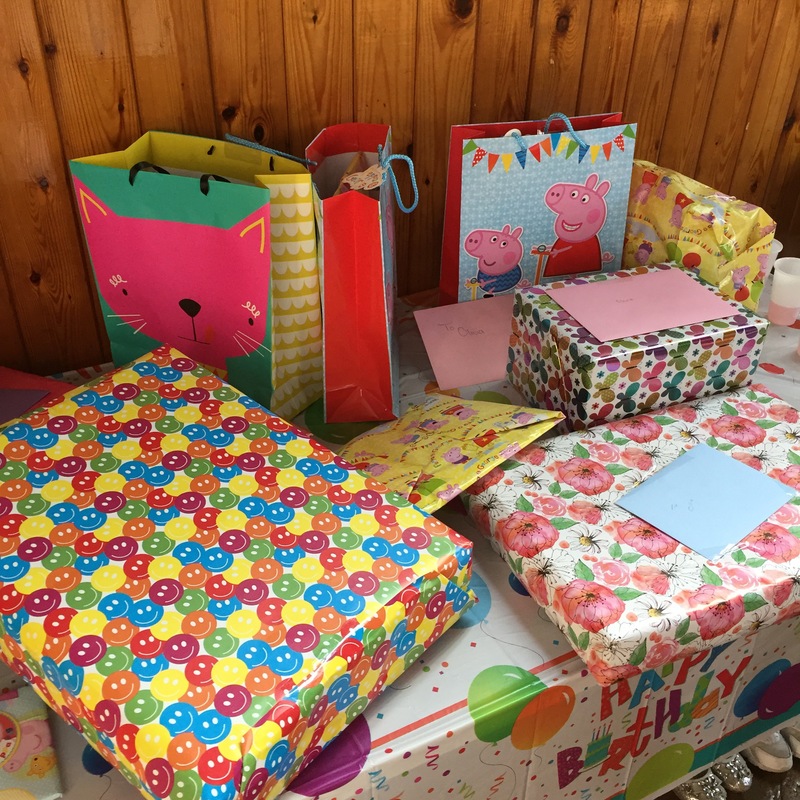 A cake cut and wrap service can also be provided for party bags. Cold children’s buffet starts at £3.95 per head and £6.50 for adults (minimum numbers apply). Virtually any theme can be catered for, as long as enough notice is given for research. Decoration packages, speaker hire, bespoke playlists, party games, prizes, chair covers, centrepieces, flower arrangements and candy buffets can all be provided. In short, they’ve got it covered… and all you need to do is choose what you want, sit back, relax and take all the credit. After all, if (as the saying goes) you have to fake it til you make it, then I honestly can’t think of a better way to do it than this. And, it makes me feel better to think that perhaps even my mum would have appreciated the opportunity to have someone else take care of arranging the birthday parties for her three girls. Especially when the result looks this flippin’ good! In the interests of transparency, I want to make it clear that this is a genuine recommendation and not a sponsored post.